Description: This vase is beautiful. 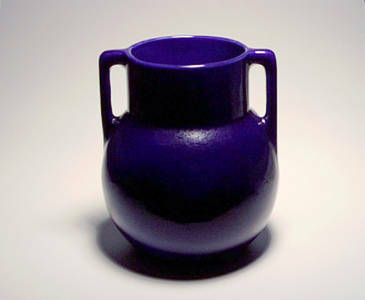 A deep cobalt blue high gloss. The glaze shows some small crystalizing action (check with a loop. There are small round crystalline formations in the glaze) Marked on the bottom. In the picture, the bottom half of the round mark says "TRENTON NEW JERSEY", I'm almost certain of this, but can't read the rest. I'm pretty sure this is not TAC or TEPECO as I have been unable to find a mark like this one for them. If you can help me determine the maker it would be great. You can use "contact seller" or post a message. 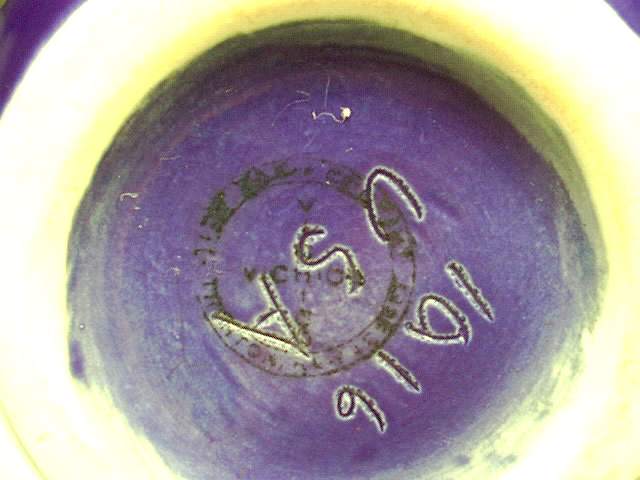 Trenton Vichico Vitreous Pottery Co.
Now does anyone have any addtional Info?